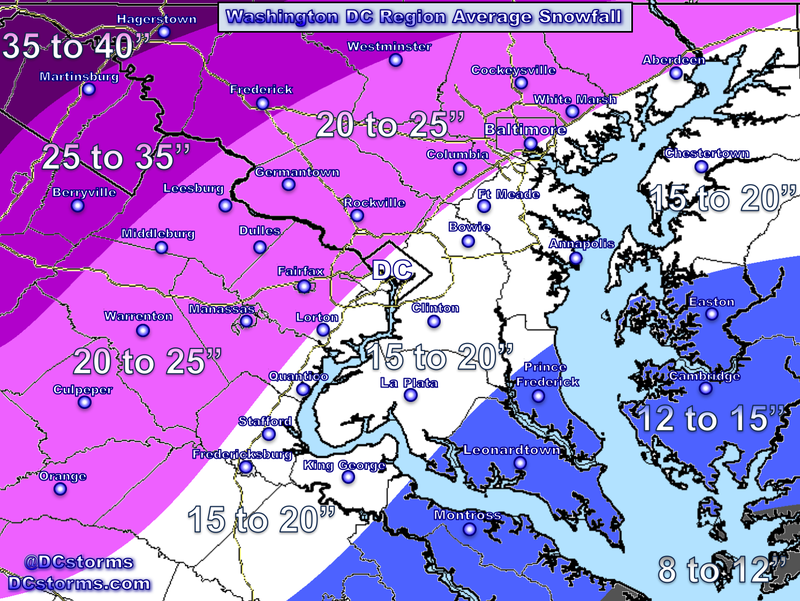 After a winter of records, why not threaten some of March’s all time snowfall records here in the Washington Area? After all who wouldn’t want a Snow Day and a three-day weekend while doing just that? Downtown Washington and its southern suburbs have the greatest potential for breaking some records tomorrow. 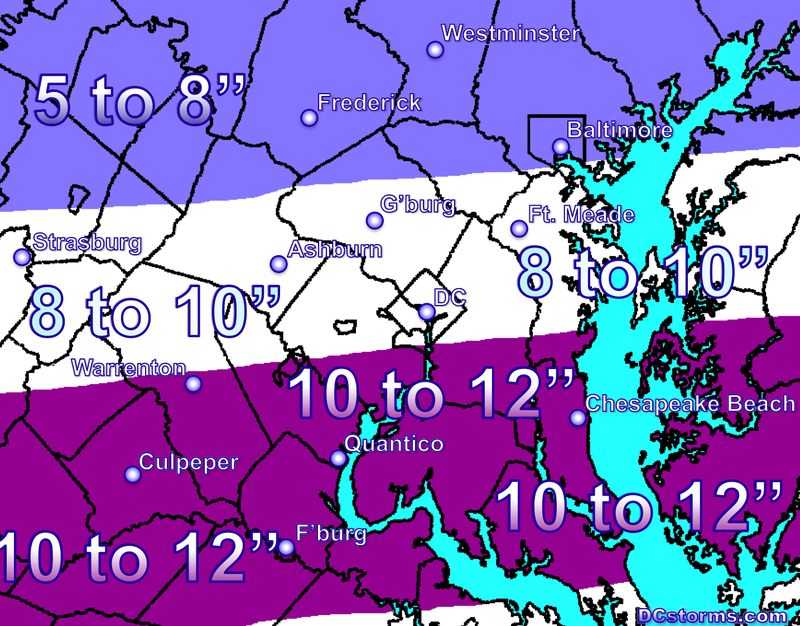 Those of you that live from the central Shenandoah Valley to Stafford and Fredericksburg… you are sitting pretty in the jack pot with totals likely nearing one Foot! The ECMWF (European Forecast Model): If this model is correct, storm spotters just south of Washington (Lake Ridge, Woodbridge, Stafford, Fredericksburg, etc…) are going to have their jaws drop tomorrow evening as they are out measuring… just incredible! 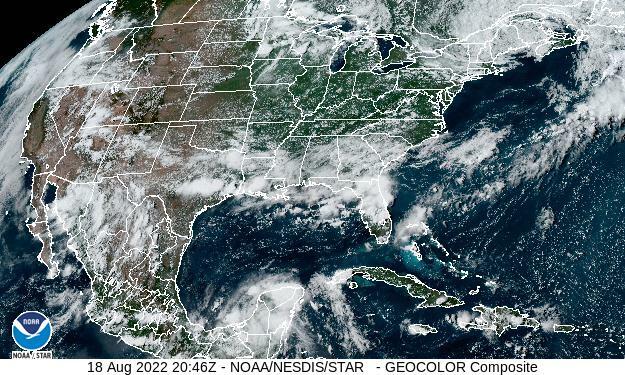 Go ahead, click on the image and look at your neighborhood… if this verifies… WOW. The Global Forecast Model (GFS): This model today has caused some panic in the weather community earlier today as it *had* backed off on precipitation totals a bit, the good news for you snow lovers is the latest 18z GFS is back in the game with 8 to 12″ falling especially from Washington DC… points south. Latest GFS (literally just came out) Back in the Game! The North American Model (NAM): This model can be manic depressive and last year its cold bias really ticked me off when we had a lack of arctic air anywhere in sight (certainly not a problem this year). Latest North American Model (NAM), basically agrees, yes someone is going to get a foot of snow. “The Weather Channel backed off on their previous amounts”… what’s going on? 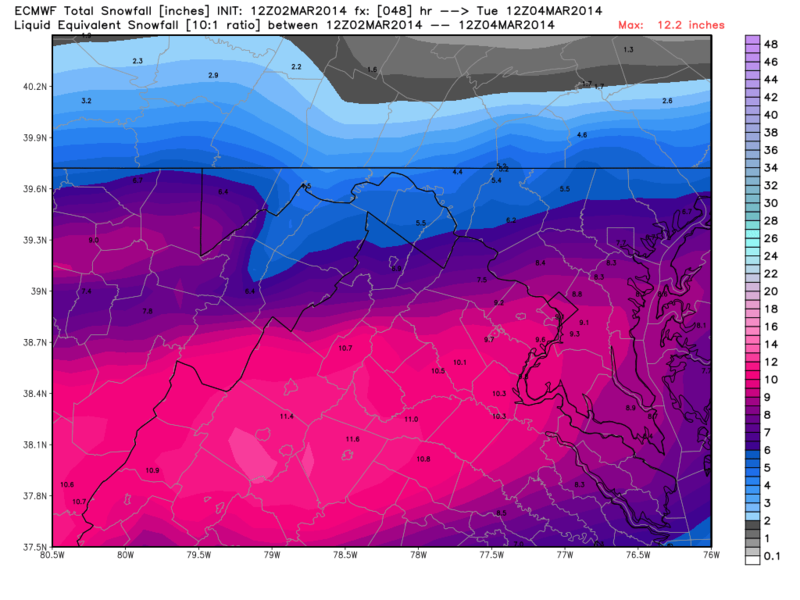 “What if the trends in the forecast models continue to take all the snow well south of DC”? *Temperatures in DC are forecast by the SREF models to drop to Freezing by Midnight or shortly thereafter. Sleet and Freezing Rain will be causing havoc on roadways prior to the heavy snow that will get going pre-dawn*. ** This storm means business for the immediate Washington Area & quite frankly, it’s DC and the southern suburbs turn to get hammered with the highest amounts (northern Maryland doesn’t need a foot of snow — they’ve won out all winter). Snowfall rates of one to two inches per hour are likely on Monday with even some thunder snow possible south of town. As the snow becomes fluffy during the afternoon and the winds pick up… there will be considerable blowing and drifting of snow during the late afternoon and evening. Temperatures will plummet into the low single digits on Tuesday morning with wind chills below zero. Enjoy tomorrow — the Cherry Blossoms will be blooming before you know it. Saw someone on Facebook sharing your site. Go Tim! Thanks for your kind comments Tom. 58″ of snow is quite incredible indeed! Your neck of the woods and northern Maryland seems more like upstate New York this year than the Washington Region. Crazy winter for sure and you guys out that way are probably not done with winter yet. I’ve seen snow cover the cherry blossoms three times since I have lived in this area. Snowfall ratios will really drop during the late morning through the afternoon. There could be some surprises as the national radar loop is really looking quite impressive! I think Greenbelt will make out quite alright with this storm. Yeah OPM announced it early this evening! We are in Eastern Panhandle of WV. We always use your site, because it’s very well done, and you’re pretty accurate. I’ve been checking daily, and a little bummed our totals are going down for this storm. I can’t complain as we’ve had 58” so far this 2013-2014′ season, and are getting a little weary. But, as with every big storm, we are excited as well, wanting to be in that bullseye too. 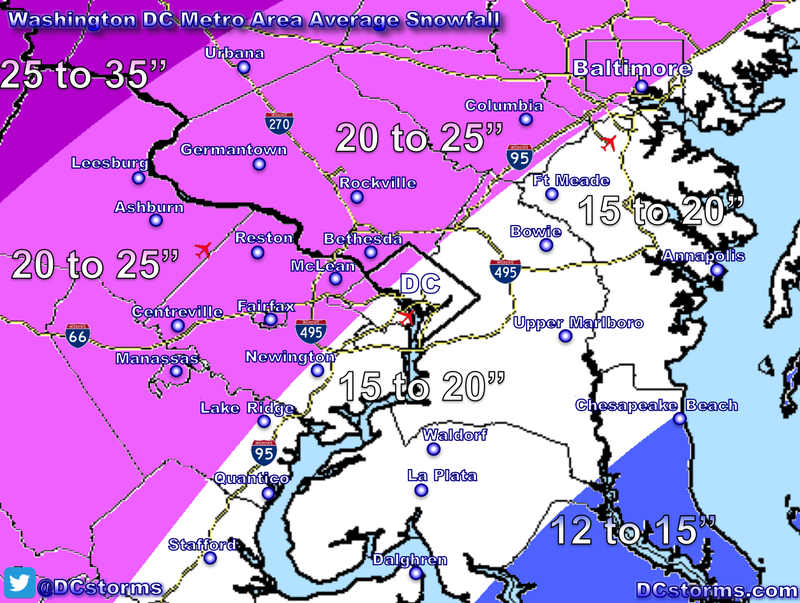 Hopefully this will turn out to be a DC bullseye storm, but we are hoping for some big totals here too. The 18Z GFS was a happy pill for me here in Greenbelt. There was some strange weather in the south central states late this afternoon, thunderstorms with heavy freezing rain, sleet with 5 degree temperatures, thundersnow in Tulsa, OK with temperature of 12, which is close to 50 degrees below normal for late afternoon in early March. Hopefully all that instability will be reflected by high snowfall rates around here.